The Nismo LM GT3 and the Nismo LM GT4 are forged JDM Wheels made by Rays Engineering. The Nismo LM GT3 are one piece forged wheels with a simple 5 spoke design. The GT4 Rays Engineering are two piece wheels with the faces bolted to the wheel. 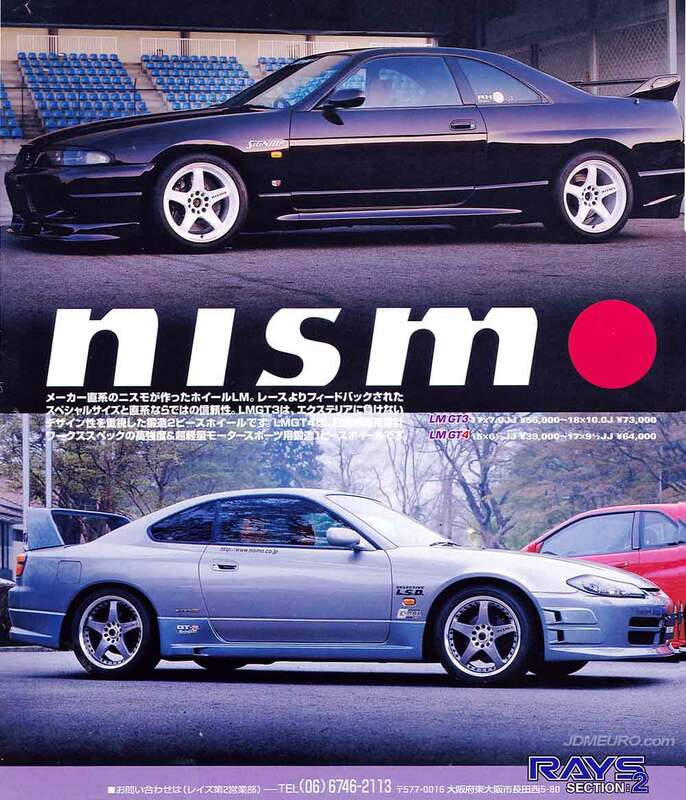 With Nismo, short for Nissan Motorsport, the factory tuning division for Nissan, the Nismo LM GT3 are mounted on a Nissan Skyline GTR R33and the Nismo LM GT4 on a Nissan Silvia S15. Mercedes Benz 280CE W123 on BBS RS – Period Correct Goodness! Enkei RPF1 + Ford Maverick = JDMUSDM? Automotive archive of JDM / Japanese Style and European Style Cars from all over the world. Emphasis on wheels, steering wheels and all types of automotive styling trends and automotive accessories.